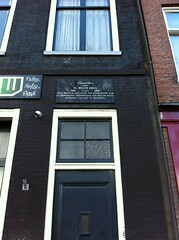 Willem Drees, Sr. () (5 July 1886 – 14 May 1988) was a Dutch politician of the Labour Party (PvdA). He served as Prime Minister of the Netherlands from 7 August 1948 until 22 December 1958. Drees, a civil servant and accountant by occupation, worked for the Twentsche Bank as a bank teller from 1903 until 1906 and as a stenographer for the States General of the Netherlands from 1907 until 1945. He served as Member of the House of Representatives from May 9, 1933 until June 24, 1945. And as the Parliamentary leader of the Social Democratic Workers' Party in the House of Representatives from August 19, 1939 until June 24, 1945 when he became Minister of Social Affairs and Deputy Prime Minister serving from June 24, 1945 until August 7, 1948 in the Cabinets Schermerhorn-Drees and Beel I. He served again a short periode as a Member of the House of Representatives, after the Dutch general election of 1946 from June 4, 1946 until July 4, 1946. After the Dutch general election of 1948, Drees became Prime Minister of the Netherlands, leading the Cabinets Drees-Van Schaik, Drees I, Drees II and Drees III. And as acting Minister of Colonial Affairs from March 15, 1951 until March 31, 1951 and as acting Minister of Finance from July 1, 1952 until September 2, 1952, following the resignations of Johannes Henricus van Maarseveen and Piet Lieftinck respectively. He again had two short stints as a Member of the House of Representatives after the Dutch general election of 1952 and 1952, serving from July 15, 1952 until September 2, 1952 and from July 3, 1956 until October 3, 1956. After his premiership, Drees retired from active politics. He was already seventy-two and second oldest person who served as Prime Minister of the Netherlands after Johan Rudolph Thorbecke, who died in office at the age of seventy-four. On December 22, 1958 he was granted the honorary title of Minister of State. He remained a very active observer of Dutch politics, publishing a substantial number of books and articles until the age of ninety-seven. Willem Drees died on May 14, 1988 at the age of 101. He is praised by many as the most important Dutch politician after World War II for his important contributions and social reforms laws. Drees was chosen as the best Prime Minister of the Netherlands after World War II after an opinion polling conducted by the VPRO in 2006.